Confiscate: To confiscate means to take away for security or legal reasons. It implies an act by an authority upon one of less power. An equitable partition of the land between Israel and Palestine is one option available to end the current occupation and hopefully result in peace in this part of the world. Various partition plans have been proposed since 1948, all of which have been unsuccessful to date. Israel will offer that the Palestinians will not recognize the state of Israel (notwithstanding that Israel will not recognize the state of Palestine either). Palestine can rightly respond that the negotiating table is not level and that they are being asked to accept a “peace” agreement instead of an agreement for a “just peace”. In the absence of an agreement, the Palestinians have been steadily losing land since 1967 by an on-going shifting of the pre-1967 partition (Green Line) line eastward into the West Bank. In addition to a partition line that is slowly shifting eastward, there has been a significant loss of land fully within the West Bank. This land is being confiscated by Israel with no compensation and is primarily for the construction of new hilltop settlements. Some of the tactics utilized to justify or defend this confiscation are as follows: Requisition Order – used for the establishment of military facilities. (The owner is reportedly compensated for their land in this situation. Expropriation of Absentees Land – Land which has not cultivated for a period of three years can also be confiscated. This tactic is often against refugees who have been driven from their property/home during previous conflicts and who are prohibited by the Israeli government from re-entering the West Bank (ie. it is difficult to cultivate your land when you are not allowed to be there). In such cases, and in accordance with international law, the government is to “hold” this land in trust for its owners and neither rent or sell it to settlers – another law that is not being respected. Closed Zones – lands that the military can designate for military training purposes at their will, These designated lands are deemed “special security zones” which are typically 400 – 1000 meter additional strips around the outside of the developed area of the settlements. So, we have settlements on confiscated lands as well as additional illegal “safety” zone around the illegal settlements. Declaratiom of State Land – this tactic allows for confiscation of land not registered prior to Israel’s occupation of the West Bank in 1967 and lands viewed as “government property” based on the previous Jordanian land taxation system. The declaration of hundreds of dunums as state land facilitated Israel’s establishment of the vast majority of illegal settlements in the West Bank. 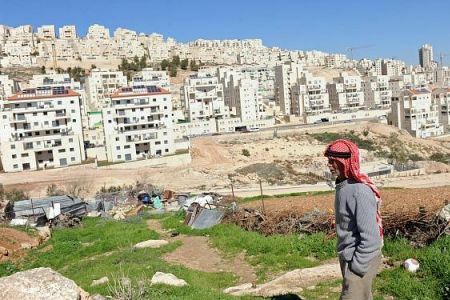 The above tactics have been a total success to date in the confiscation of land – for the purposes of constructing the settlements and making the lives of the Palestinians as miserable as possible. Omar Hajajla – the battle to keep his land continues…. This entry was posted in Uncategorized on November 14, 2014 by john58dean. When I first set eyes on the barrier wall being constructed by the Israeli government, my engineer mind started calculating the construction costs of such a large project. In my mind, the “hard” costs (concrete, steel, gates, security cameras, road realignments, utilities, etc.) will run into the hundreds of millions when the estimated 700 km of wall is completed. Many civil type projects also come with “soft” costs in the form of property acquisition costs, compensation for lost land/homes/businesses/income, legal costs and engineering. These types of costs are generally difficult to estimate. However, for this project it has become apparent that the soft costs are quite easy to determine. The majority of these costs can safely be estimated at or near zero – the impacted Palestinians have been forced to absorb them. So, we have a project with monetary costs that will run into the hundreds of millions of dollars. Can you imagine what could be possible with this amount of money? How about schools, hospitals, basic infrastructure, lacking social programs, alternative energy programs, water supply, sewage treatment, diversification of the economy, tourism development and so on – for both Palestinians and Israelis. The Israeli government would suggest that the monetary cost of this wall is offset by the “benefit” of a reduction in the number of “terrorist” acts. While this statement may appear logical to some on first take, one has to consider a few additional facts. 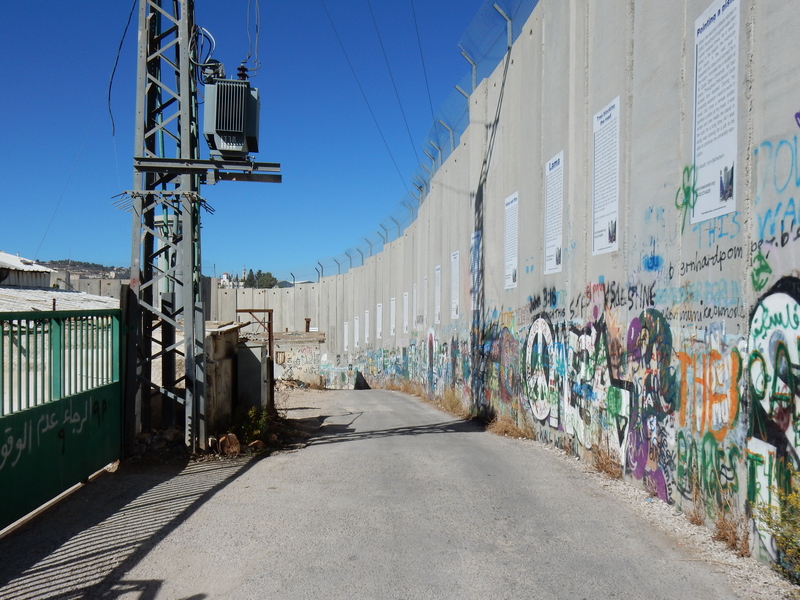 The initial sections of the wall were built near the end of the Second Intifada (during which violent acts were undertaken by all sides) had ended and was accompanied by a major increase in ground security measures and weary combatants. So, was the reduction in these violent acts a result of the wall or, as a result of conditions not related to the physical wall itself? A 2005 United Nations report stated “It is difficult to overstate the humanitarian impact of the barrier. The route inside the West Bank severs communities, people’s access to services, livelihoods and religious and cultural amenities. In addition, plans for the barrier’s exact route and crossing points through it are often not fully revealed until days before construction commences. This has led to considerable anxiety amongst Palestinians about how their future will be impacted…… the land between the barrier and the Green Line constitutes some of the most fertile in the West Bank. It is currently home for 49,000 West Bank Palestinians living in 38 villages and towns.” Some 10 years later, the negative impacts related to the continued construction of the wall have grown dramatically. The government of Canada does recognize the West Bank (including East Jerusalem) to be “occupied territory” and considers the wall to be contrary to international law under the Fourth Geneva Convention. It officially opposes the barrier, the expropriations and demolition of houses and economic infrastructure preceding its construction. Unfortunately, the government of Canada is mostly silent when these positions are not respected. It is easy to take the “politically correct” position on paper but quite another thing to insist that they be respected on the ground by the government of Israel. Are Canadians seen in the international community as a nation who is comfortable “picking and choosing” which international laws should be respected and which ones can be dismissed? If so, this is heavy price to pay for which I am held accountable as well. What is the Cost of a Barrier Wall? My thoughts this week have been on children and what it must be like to grow up in an occupied land. I grew up in a world that was mostly free of fear and violence. My childhood was what I would hope for children everywhere and included safety, protection and the right to simply “be a kid”. The world in Palestine is a different place. While parents and communities here attempt attempt to raise and provide for their children like my parents did, they are forced to do so in an occupied land – one full of soldiers, guns, riot gear, restrictions on movement, tear gas, skunk water, rubber bullets, etc, etc, etc. Notwithstanding the physical dangers to children in such a world, these kids will develop and mature psychologically in an environment filled with mistrust, anxiety, fear, violence and to a degree, hate. 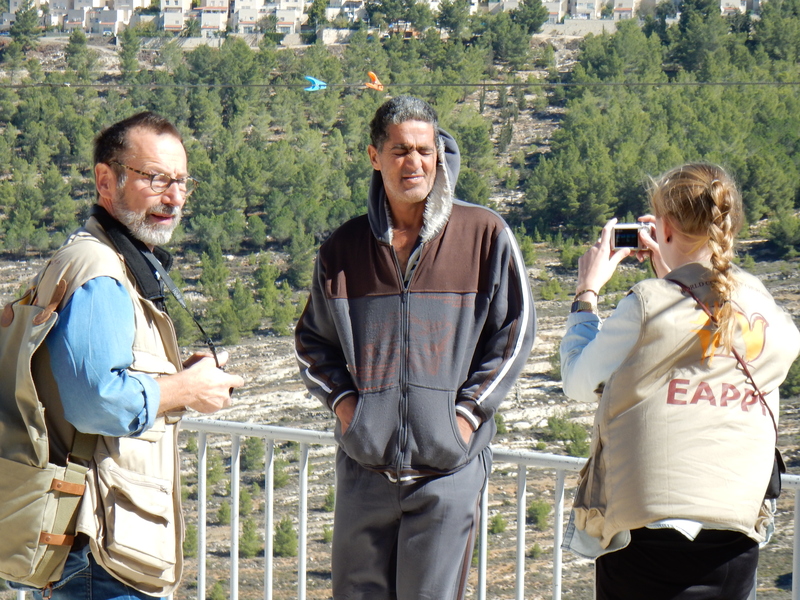 I have had the recent opportunity to meet a man named Hasan Breijieh who lives in the village of Al Ma’sara which is just a few km to the south of Bethlehem. 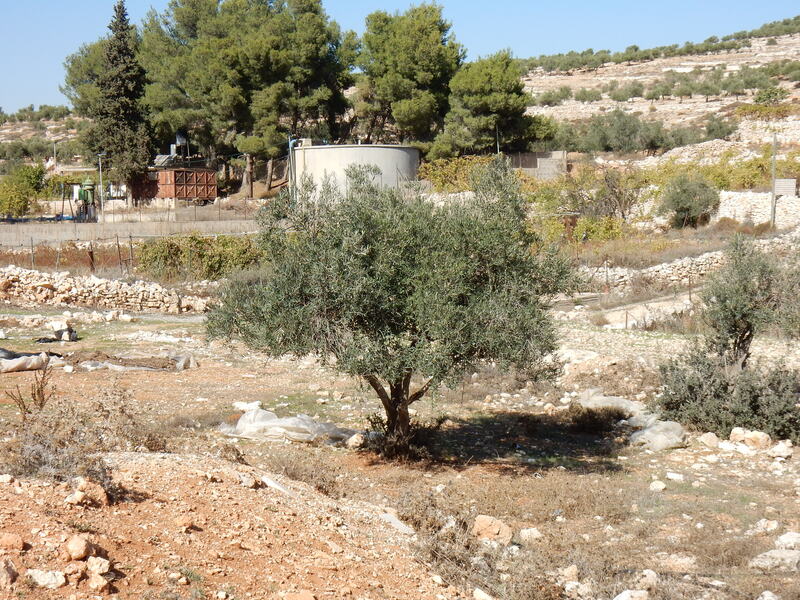 Al Ma’sara is faced with a problem that many Palestinian communities around Bethlehem face – the confiscation of Palestinian land for the expansion of the adjacent hilltop “settlements” around them. These settlements breach international humanitarian law and their very existence violates Palestinian human rights in the form of right to property, equality, a decent standard of living and freedom of movement. Some of the inhabitants of these settlements, known simply as “settlers”, can be exceptionally violent and dangerous. The sad fact on the ground is that the military defends and supports even the worst of actions by the settlers, which are typically at the expense of the Palestinians. Hasan has been carrying out a small non-violent demonstration for about six years now – every Friday at 12:30. At about noon, the Israeli soldiers “roll into town” like clockwork to deal with this demonstration. About a dozen soldiers stand across the village road entrance and form a human “fence” with the requisite semi-automatic rifles at hand. As if on cue, Hasan and about 10 kids/young teenagers march up the street carrying a couple of Palestinian flags. When they meet the road-blocking soldiers, they stop face to face. A kid moves to the left in an attempt to squeeze between two soldiers – the soldiers shuffle in unison to the left to block the pathway. The kid then moves back to the right towards a newly opened breach in the soldiers line – the soldiers quickly shuffle to the right to block this opening. The routine looks much like a “keystone cops” film and goes on for about an hour with Hasan all the while chastising the very young soldiers with “Why are you here?” and “You have no right to be here!”. If the soldiers were allowed to speak, their official response provided from their superiors would be that they are here for “security”. In this case, the security threat is a young girl with a pony-tail, a pink top and an adorable smile. The serious side of this protest is not lost on me. The concept of non-violent resistance has been used effectively in previous conflicts and struggles around the world. Many are now thinking that this form of protest may play a role in ending the occupation in Palestine as well. However, this work will take time. The Israeli military has no current way of responding to this form of resistance – their world is one of superiority and brute force. Many of the young men in Palestine will also need time to accept this form of resistance as their world is one of either accepting the occupying force/violence or responding to it. 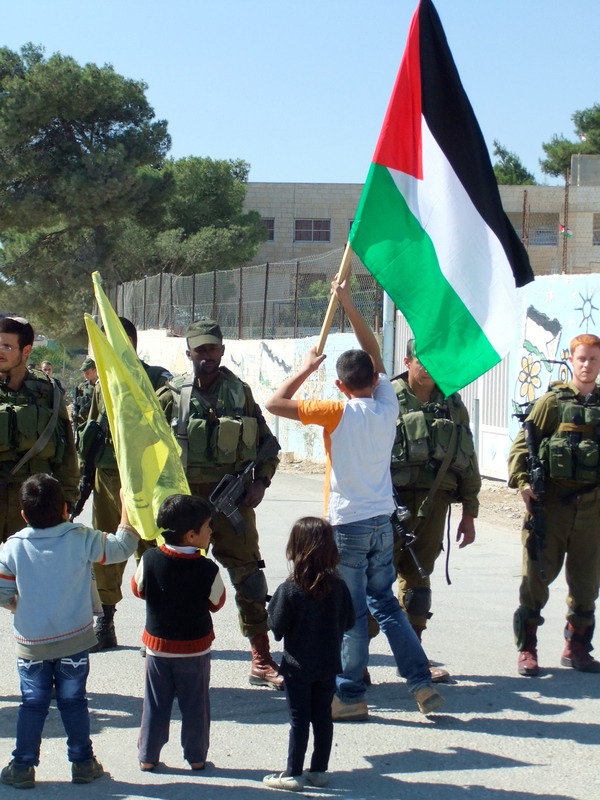 The general Palestinian population can quite rightly say that they have struggled and continue to suffer to an intolerable degree – how can they be expected to wait for this potential means of ending the occupation that comes with no guarantee? Additionally, non-violent protest does not make for catchy headlines whereas violent protest does. The clear hope and reward in such wait would be with the children of today and their children. The hope and desire is that some day, children in Palestine will have the opportunity be able to grow up in an environmnent where they feel unthreatened and safe and doing what kids should be doing at their age – that is simply “being a kid”. This entry was posted in Uncategorized on November 4, 2014 by john58dean. 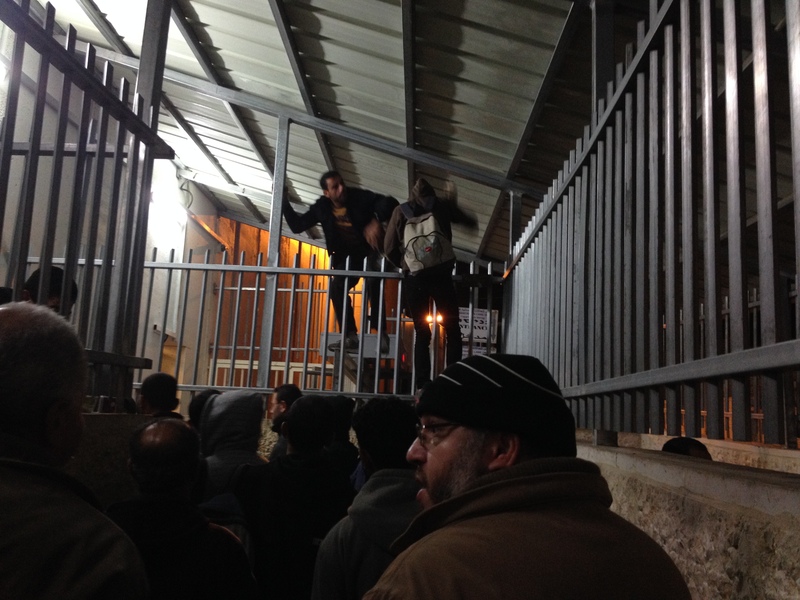 It is 4:00 am at Checkpoint 300, the main foot traffic crossing between Bethlehem and Jerusalem. The first of some 5800 Palestinians to cross today (mostly men) begin to trudge up livestock style chutes under the yellow glow of the lights hung on the concrete separation wall. Most of the men are construction workers employed in West Jerusalem. They check their watches nervously – if they are late their jobs are on the line. More specifically, their work permits may be lost as their employers control the work permits so they can not only fire their Palestinian workers, they can prevent them from working at all. As the time approaches 5:00 am, the queue to cross has grown to hundreds of men and the line stops frequently. While there are 10 security gates (where checks are made on finger prints, work permits and identity cards), today there are only 5 open today. 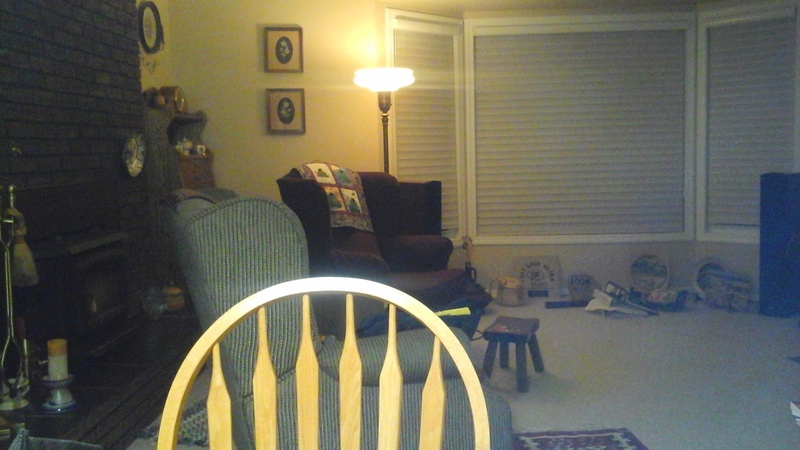 The men become frustrated and agitated – they cannot be late. The queue pushes forward and men get crushed at a single turnstile gate location. To “jump” the queue, a few men climb over top of the steel fence. But today is their unlucky day as an angry security guard (automatic weapon in hand) catches them. He grabs them and violently pushes them face first into a steel fence, only a few meters from where I stand watching. I am helpless to intercede and the look in their eyes reveals the realization that they will not be allowed entry today. There will be no work today and perhaps the work permit will be lost as well. Today is Thursday – the same scene plays out almost daily. Later in the morning, I trudge home – frustrated, angry and tired. How can this happen to men who simply need to provide for their families? 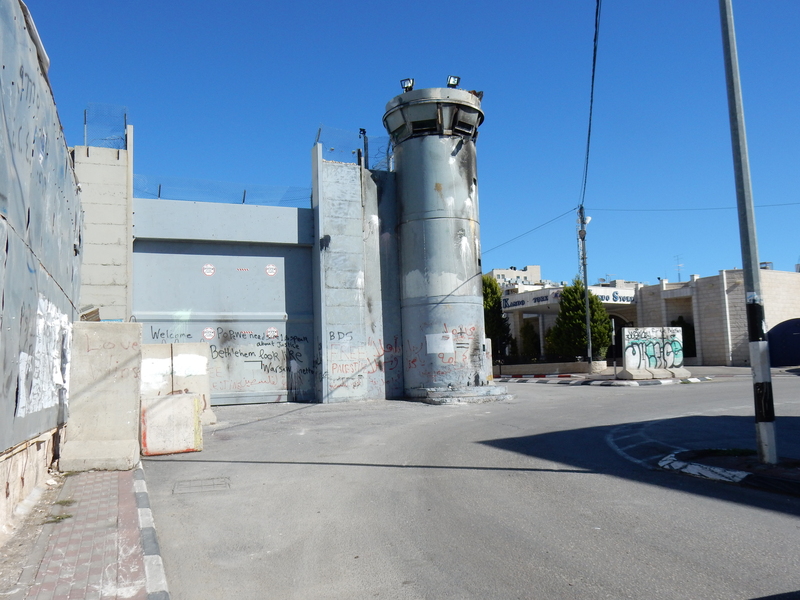 Ahh but yes, in the minds of the Israeli military this checkpoint is to prevent the “terrorists” from “getting in”. This level of security is at Checkpoint 300 despite the fact that at various gaps in this uncompleted concrete wall, illegal pedestrian crossings can and do occur on a regular basis. So, is this process less about security and more about humiliation, intimidation and control over simple working men? Sadly, I believe so. A lady recently asked me “why do they force the women to be in the same line as the men, the men look down on us when we are forced to do this?”. Another old man asked politely, “can you ask them to open the locked toilet doors – some people cannot hold it that long?” (I ask this question to the authorities and am ignored – I understand the toilet doors are seldom, if ever, unlocked for use). For all these Palestinians, the daily ordeal of the Checkpoint 300 crossing eventually ends and the rest of their day begins. This entry was posted in Uncategorized on October 31, 2014 by john58dean. I have been in Palestine for one week. I will be living in Bethlehem for the next three months as an Ecumenical Accompanier (EA) with the Ecumenical Accompanier Program in Palestine and Israel. 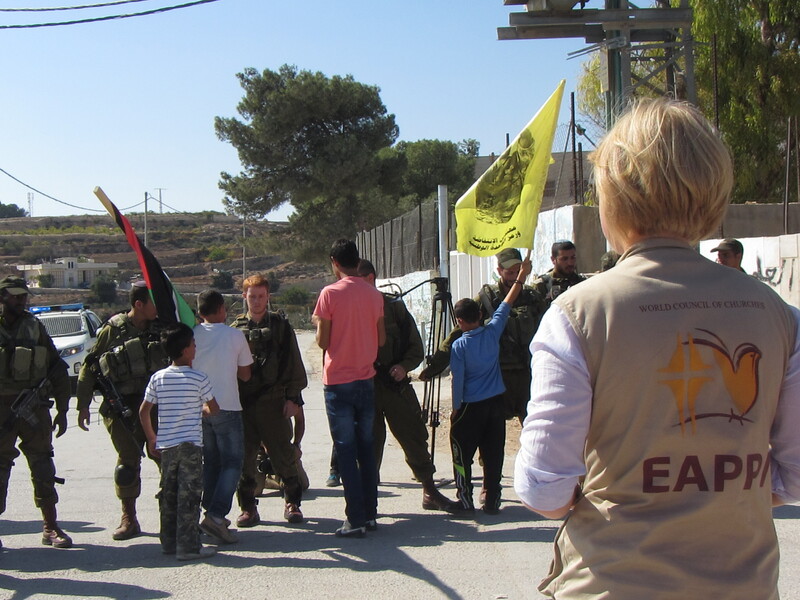 Part of my role is to experience the impact of the occupation on people’s lives (including human rights abuses), collection of data for other agencies and support for both Palestinians and Israelis working for peace. When I return, I will share my stories and advocate for a just peace in this land. In a recent team reflection, I tried to summarize my experiences of the last week in three words. My first word was “land”. My choice of land was due to the on-going confiscation of land, eviction notices and demolition orders imposed on Palestinian owned land. For the Palestinians, the loss of land has obvious economic impacts as well as a loss of identity and heritage. 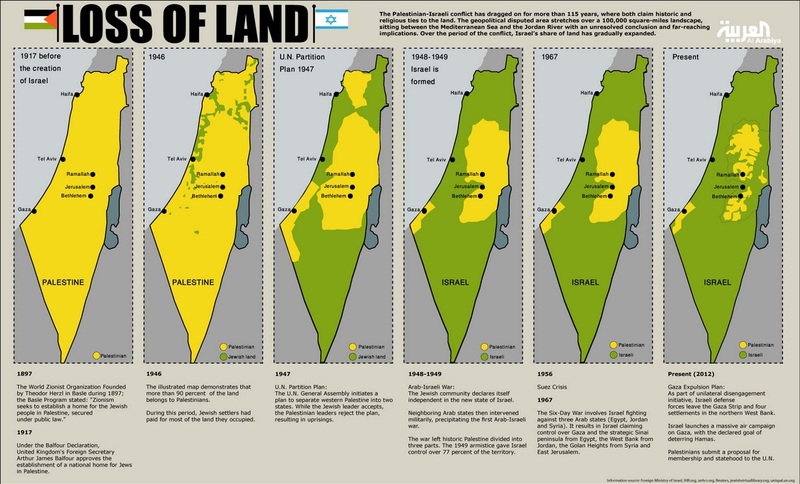 The on-going loss of land, primarily for the benefit of expanding Israeli settlements, is a source of great tension in this area. My second word was “bureaucracy”. There are well over 100 permits in the system that the Palestinians are subjected to. These permits appear intentionally designed to restrict movement, strip people of their most basis rights, antagonize, embarrass, and punish (for those who do not adhere to both defined and undefined terms). My final word was “filmishmish” which in Arabic means “when the apricots bloom”. The English translation is roughly “wishful thinking” or “when pigs fly”. I witnessed the use of this term by a fellow EA when negotiating a taxi fare – when the driver heard this word coming from a foreigner, he was both impressed and amused and the requested price was quickly agreed to. This event impressed upon me what a friendly and fun loving people the Palestinians are and that my time in this land will be rewarding. Most of the injustices and acts against human rights I have witnessed and have yet to witness will be impossible to explain in a blog, let alone a single word. While my challenge is simply witness and articulate, the people here have to live it on a daily basis. This entry was posted in Uncategorized on October 27, 2014 by john58dean.